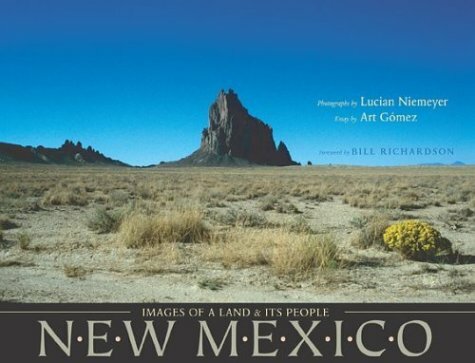 Internationally renowned photographer Lucian Niemeyer and National Park Service historian Art Gómez have combined talents in a new presentation on New Mexico. Niemeyer's more than 150 color photographs encompass the entire state throughout the seasons presenting New Mexico's people, cultures, and magnificent scenery at the millennium. Gómez's sweeping history views the state in terms of corridors, geographic as well as cultural. New Mexico's mountains, deserts, and rivers form natural corridors that migrating birds and animals have traditionally used for survival. Navigating these same corridors across the state, human cultures of Paleo, Plains and Pueblo Indians, Hispanos, and Anglos forged viable communities on the astringent New Mexican landscape. Pueblo ancestors migrated from austere environments throughout the Southwest to more inviting surroundings on the Rio Grande. Plains Indians from the north and Hispano tradesmen from the south converged via the Camino Real. American settlers migrated west along the Santa Fe Trail, the southernmost corridor around the formidable Rocky Mountains. Improved transportation such as the railroad and later Route 66, precursors to the interstate highway system, annually lured new inhabitants to this compelling land called New Mexico.